In 2011, North Africa erupted in a series of youth-led revolutions, the echoes of which can still be heard in the region and around the world. These regime-toppling movements, enabled by social media, were in many ways a wake-up call for the global community: Failing to engage a country’s youth—and the economic, political, and sociocultural disenfranchisement that may follow—can be destabilizing to the point of radical change. An increased focus on youth issues is now evident in the proliferation of donor-funded, youth-directed programming; impact evaluations focusing on youth employment interventions; and the wave of “youth indices” that attempt to present comparative cross-country data on this demographic. However, the challenge remains as to how to translate existing information into policies that will effectively promote youth workforce integration and employment, as well as how to secure government political commitment for such policies.1 Currently, youth employment issues often fall under the purview of non-governmental organizations, civil society organizations, and donors, in part because governments are reluctant to invest resources in programs that have not been evaluated for efficacy.2 In the absence of an implemented national youth policy or government-supported approach, such interventions may be ad hoc or duplicative, and potentially less sustainable if reliant upon the priorities of donors and programmatic funding cycles. The challenge remains as to how to translate existing information into policies that will effectively promote youth workforce integration and employment. This paper desc ribes an approach that may help bridge the gap between data and policymaking at the country level. We provide a framework for national-level youth development efforts that involves supplementing available data, incentivizing the commitment of non-traditional stakeholders, and ultimately using a more holistic, iterative approach to youth engagement that requires the support of country governments. The approach focuses on middle- and low-income economies, where the youth population is at an all-time high and unemployment is pervasive. We draw on Tunisia as a case study and example of a high-potential emerging economy. Forty percent of Tunisians are under the age of 24, placing a demand on government institutions to promote youth civic and economic engagement through a cohesive national strategy. The political, economic, and social challenges faced by Tunisia are similar to those of other nations where youth engagement is critical to stability and development. By debunking the perception that youth, and especially unemployed youth, are merely a fiscal burden and a drain on domestic resources,3 our approach encourages an increasingly diverse group of stakeholders to invest in youth as catalysts for economic growth. Demand for viable youth strategies and interventions is on the rise4 and will likely continue to increase as governments realize that investing in youth can help achieve other high-priority goals, such as accelerated economic growth. So how is the market meeting this demand? What tools and resources do youth champions have to effectively measure and improve youth wellbeing? Recent youth indices and impact evaluations reflect efforts to provide more complete and coherent information. Our approach utilizes this research in an effort to engage the most effective champions in a country-specific, action-oriented youth roadmap. In this and the following sections, we examine available data on youth, with a specific focus on youth indices, and outline the key elements of our framework for translating information to impact. At present, there are no internationally recognized indices in the area of youth development. Indices can provide policymakers with a simple way to view the big picture, allocate resources, design programs, and measure progress over time. At present, there are no internationally recognized indices in the area of youth development, although two noteworthy examples were released in 2013 and 2014. The Commonwealth Youth Development Index (YDI), released in 2013, is a composite index of 15 key indicators that collectively measure youth development in 170 countries, including 51 of the 54 Commonwealth countries. The YDI has five domains to measure the levels of education, health and well-being, employment, political participation, and civic participation of young people. The Global Youth Wellbeing Index, released by the Center for Strategic and International Studies (CSIS) and the International Youth Foundation in 2014, gathers and connects youth-related data to assess and compare the state of this demographic via indicators on citizen participation, education, economic opportunity, health, safety and security, and information and communications technology. This index ranks 30 high- to low-income countries in five regions that represent nearly 70 percent of the world’s youth. Reliance on aggregated “contextually blind” data: Indices are limited by focusing exclusively on national performance without considering potential internal or regional disparities, which are often at the core of civil grievances. Additionally, one-off studies, which are frequently cited as sources for indices, often lack year-over-year comparability. Limited target audience: The stated target audiences of the Commonwealth YDI are donors and investors rather than governments. This approach limits involvement by policymakers and government officials at the country level, which is important to building sustainable commitment to youth issues as part of national policies and priorities. Limited applicability on the ground: Most indices are purely informative; they highlight challenges rather than providing actionable tools for “moving the needle” in the identified areas. Despite their potential as a barometer for youth development, data availability and quality are significant constraints for these indices.7 Further, data availability tends to be poorest in countries with the largest youth demographic bulge. For example, in 40 percent of developing countries included in the Commonwealth YDI, there are no data on HIV prevalence among youth, youth unemployment rates, or the budget of the youth ministry. Where data are available, however, indices can be telling. For example, the Commonwealth YDI ranks Tunisia No. 80 out of 170 countries, with higher scores for education (73 percent) and health (83 percent) and lower scores for employment (61 percent), civic (32 percent), and political participation (19 percent).8 While stakeholders agree with the youth index findings that political and economic engagement should be the top priority for youth interventions in Tunisia,9 the country lacks a national youth strategy or policy to orient and coordinate such efforts. Tunisia is not alone; a 2014 assessment by the Youth Policy Press found that 16 percent of countries surveyed (31 of 198) have no national-level youth policy in place. Sixty-two percent (122 of 198) currently have a national-level youth policy; 19 percent (37 of 198) are revising or developing new policies.10 However, the presence of a youth policy does not guarantee relevance, quality, or effective implementation. To move the needle on youth issues, youth stakeholders need more targeted and timely data collection, a contextually feasible and sustainable national or subnational youth plan(s), and commitment from influential advocates. Despite the limitations of indices, governments and partner organizations could use them as platforms for further analysis, data-driven decision-making, and inputs into youth policy development. The following steps outline some ways governments can overcome current data limitations to use country-specific analysis and craft targeted youth roadmaps aligned with national and subnational/regional development goals (figure 2). It is important to look beyond the aggregate data in order to execute a more holistic and grounded approach to youth development and engagement. Is the country in conflict or recovering from recent conflict? Are there significant health factors to take into account? Are there significant regional, gender, or ethnic disparities to consider? How do these factors affect young people? These are the types of contextual questions youth development stakeholders should ask and try to answer with supplemental data via demographic surveys and interviews with experts. In many cases, data will be scarce, so data-sharing partnerships with civil society organizations, donors, and universities should be considered in order to source information. Identify the systemic factors in the political and economic environment that either enable or constrain youth as productive, engaged citizens. Use indices, impact evaluations, surveys, interviews, and roundtable dialogues across stakeholder segments (e.g., young men, young women, parents, employers). Where possible, leverage existing tools for collaboration and broader domestic engagement. For example, existing national surveys can be augmented to capture data on youth. This assessment of enablers and constraints should include an economic analysis component to identify key economic levers, such as sectors with the potential to employ a growing youth population, labor market policies, and the labor supply-demand link between the education system and the country’s economic growth trajectory. In Tunisia, the International Finance Corporation has identified labor-intensive and high-value-added sectors such as infrastructure improvement, information technology (IT), offshoring, agribusiness, electronics, and electrical and mechanical industries as the economic sectors on which to focus.18 These are the priority sectors in which Tunisia can leverage its growing youth population by providing adequate training and pathways to employment. Conduct a stakeholder analysis to identify influential champions for youth development. Determine where the gaps are among existing youth advocates in terms of political power, budget, decision-making ability, and credibility, and identify how new youth champions can fill these gaps. Develop a targeted engagement strategy based on specific priorities and interests—such as sector investment targets or public infrastructure plans—and identify counterparts to lead such efforts. These “non-traditional” youth advocates may sit in the ministry of finance, the executive branch, investment promotion agencies, or within municipal government. The important factor that differentiates a new school of youth champions is the ability to envision youth development as a direct contributor to economic growth, rather than purely as a social cause. Tunisia’s traditional youth champions include civil society organizations (CSOs), donor agencies, NGOs, and several line ministries with designated “youth” mandates, including the Ministry of Youth, Sports, and Physical Education. However, a “youth mandate” alone may not inspire interest in the issue among policymakers because there is a lack of information on the myriad ways in which youth can make a significant and lasting impact on a country’s economy. Further, lack of data on effective youth employment interventions may discourage policymakers from allocating scarce resources toward programs with certain costs and uncertain benefits.19 When influential central ministries, such as the ministry of finance, are aware of the potential benefits from investing in youth labor opportunities, such initiatives may enjoy stronger budgetary and policy support as a result of perceived alignment with a country’s larger economic growth goals, and confidence that returns on investment could materialize in the form of a more skilled, integrated, and capable workforce. For example, given the potential to employ large cohorts of youth in Tunisian agribusiness, it may make sense to engage the Ministry of Agriculture, the Foreign Investment Promotion Agency (FIPA), and the relevant regional municipal governments, chambers of commerce, business associations, and youth organizations, while also convincing the Ministry of Finance, presidential committees and councils, and local companies to support such initiatives. In order to elicit and sustain commitment from counterparts not traditionally involved in youth issues, youth interventions should also be designed to serve the interests, whether economic or political, of such advocates. It is possible that if Tunisia were to focus on youth training initiatives for agribusiness value chains, accompanied by the development of relevant business services, the country’s human resource capacity could be strengthened and the cost of doing business could be reduced. The benefits might include an integrated and more skilled youth labor force, a stronger investment infrastructure, and overall economic growth. These outcomes could incentivize key decision makers within the Tunisian government to continue prioritizing youth interventions while also attracting greater foreign investment as a result of improvements in the national investment climate. With these potential results in hand, more broadly targeted information and training for policymakers, as well as communications to the public, could raise awareness of the demographic dividend and promote youth-sensitive budgeting and other such strategic efforts. When host-country governments see youth opportunities as a policy priority, it may be expected that 1) developing-country governments will begin prioritizing youth independent of the influence of donor agendas; 2) donor funding for youth will be channeled through programs, jointly developed with the host-country government, that support the dual objectives of economic growth and youth integration; and 3) such policies will be more likely to survive in the absence of foreign aid because they are now perceived as important to the democratic and economic stability of a country. Irrespective of whether a country has established or enforced strategies or policies, a youth roadmap can serve as a cohesive and targeted plan of action. Such a roadmap should be based on data; aligned with national, regional, and sectorial goals; and supported by a broader set of influential youth champions. Ideally, the roadmap should also contain direct input from young people, either through traditional civil society consultations or an online crowdsourcing forum. Irrespective of whether a country has established or enforced strategies or policies, a youth roadmap can serve as a cohesive and targeted plan of action. A key element of the youth roadmap in this approach is that it should employ an evidence-based methodology of testing pilot interventions, analyzing the data for efficacy, and scaling up based on test results. This approach, though potentially slower than direct implementation at scale, typically carries less risk, helps manage expectations, and furnishes some of the critical missing youth intervention data needed to rally more champions and positive results. To design such interventions, we suggest a framework that integrates available demographic (and, where available and applicable, impact evaluation) data with contextual considerations (such as growth industries and competitive advantages). Strong stakeholder involvement in the design, execution, and assessment of such interventions promotes knowledge transfer, ownership, and sustainability. A second important component of an effective youth roadmap is that it should continue to link youth with larger macro metrics such as economic growth, or with indicators of political stability such as election turnout. By revealing the links between investment in youth and a country’s economic growth opportunities and political stability, such a roadmap can serve as a tool to bridge diverging policy priorities and promote youth advocacy among a new set of stakeholders. In certain environments, the optimism, energy, and hope of young people have gone unanswered by governments or, worse yet, have been manipulated and abused for the sake of gaining or maintaining power.20 In our experience, there are at least two needs in play in these situations: 1)the need to manage youth expectations, not by overpromising and underdelivering, but with honesty and realism about the time it will take for certain interventions and policies to be effective; and 2) the need for transparent monitoring and evaluation of progress toward goals, with proactive course alterations, not punishments, for off-track or ineffective initiatives. These needs are especially pertinent in countries like Tunisia, which has recently undergone transformative change. One development practitioner in Tunisia observed that “[the Arab Spring revolution] has not been considered as a process, but an event.”21 Communication around the process of systemic change is a key component of managing youth expectations. This approach can be leveraged by donors to collaborate with central and local government counterparts in designing realistic, well-planned youth roadmaps. Partnering with development organizations at the outset will support greater government capacity—both technical and financial—in designing data-driven, contextual approaches to youth programming. The private sector can also use these data to better understand and enable sustainable investment in growth industries. A large and growing youth population potentially provides an adaptive and enthusiastic workforce capable of developing new skills as labor needs change, and can ultimately support the potential long-term profitability of private investment and public-private partnerships. Finally, these steps also provide traditional government youth champions an iterative tool for intra-governmental collaboration and future policy development, supplementing existing tools and data to shape the development and implementation of youth initiatives. The well-being of a country’s youth population is not only a component of economic development, but also a barometer of the country’s long-term prosperity, social cohesion, and political stability. Demonstrating that investments in youth can augment, instead of drain, limited resources is likely to generate greater government interest in youth and the challenges they face. Indices can serve as an initial benchmark to begin dialogues around national youth policymaking; however, generating real impact first requires digging deeper. Stakeholders must deconstruct the context by speaking to experts and collecting more specific data; identifying systemic factors that enable or constrain youth in their country’s political economy; and pinpointing the key players in the national youth development ecosystem in order to bolster their institutional engagement. After capturing the landscape, policymakers should develop a roadmap that lays out opportunities for direct interventions and long-term programming with its youth. A traditional approach to implementation, however, is insufficient; stakeholders should work to manage youth outcome expectations with realistic timelines, and prioritize monitoring and evaluation to subsequently assess the efficacy of initiatives. Evaluation findings can be used to inform future iterations of the youth roadmap, as well as national economic and education policies, among others. The growing need for youth interventions demands a comprehensive strategy for social, economic, and civic engagement—one based on strong political will and prioritization of country-level initiatives designed to generate opportunities for youth. This cycle of contextualization, coalition building, planning, and evaluation can help nations bridge the gap between information and impact. The authors would like to thank Michelle Hammer, Chris Brewer, Souheil Ben Abdallah, Rebecca Hoffman, Mabel Kasente Ndawula, Anthony Cauterucci, Jitinder Kohli, and Shrupti Shah for their contributions to this article. 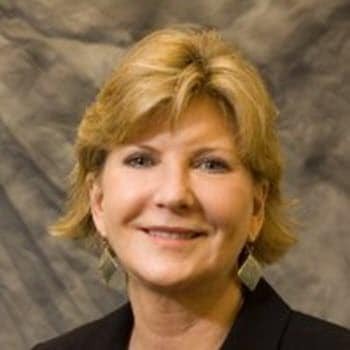 Wendy Freeman Carr, a director with Deloitte Consulting LLP, leads the organization’s work in institutional strengthening and capacity development in emerging markets. She is the principal thought leader and architect of Deloitte’s award-winning performance-based capacity development approach, CYPRESS, which has been implemented in over 15 countries, 200 organizations, and 6 sectors around the world. Carr has over 20 years of experience leading and advising large-scale transformation efforts, both in the United States and abroad, to design and operationalize high-performing organizations and programs using human capital, change management, and strategic communications principles. She has been asked to advise numerous public sector agencies in the United States, including USAID, HUD, DoS, DoD, DoJ, DHS, and USPS. She has also advised foreign ministers and vice presidents in Afghanistan, Pakistan, Egypt, South Sudan, and Saudi Arabia. Bridging the gap between data and policy has been added to your bookmarks. Bridging the gap between data and policy has been removed from your bookmarks.